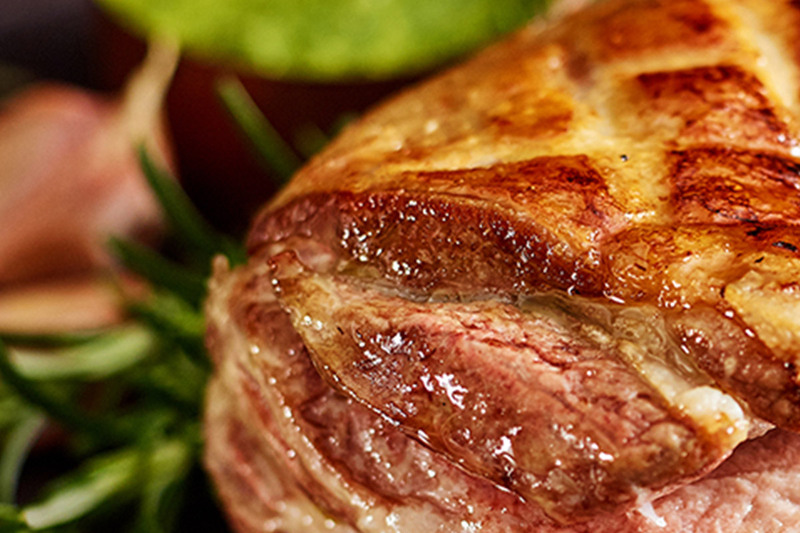 Many of you will be enjoying a juicy roast Leg of Lamb this Easter – here’s how we cook ours. Make sure you take the lamb joint out of the fridge about an hour before you start cooking – it needs to be at room temperature before it goes into the oven. Peel and chop or crush three garlic cloves, and chop a small bunch of rosemary – freshly picked if possible. Mix in a bowl with a good glug of olive oil, and a pinch of sea salt and black pepper. Make diagonal slashes all over the lamb, put it on a roasting tray, and rub the oily marinade all over, making sure you work some into the slashes. Starting the lamb off at 230ºC should help to crisp up the skin nicely – but make sure you turn the oven down to 190ºC after 15 minutes or so. If you prefer slow roasted leg of lamb, dial the heat down to 150ºC and cook for 3-4 hours instead. Baste the lamb every 30 minutes or so – just spoon the juices from the pan back over the joint. Once the lamb has been cooked, take it out of the oven and leave it to rest for 15 minutes before carving. Mint sauce is the perfect companion for roast lamb, and fresh is always best. We make ours by finely chopping a large handful of mint, and simply mixing in a small bowl with a dash of hot water, a good glug of white wine vinegar, a tablespoon of demerera sugar and a pinch of salt. You can adjust the quantities to make the sauce sharper or sweeter, according to your taste. Serve with huge quantities of roast potatoes (cooked in the same pan as the lamb if you like) and veg (you might still be able to find some purple sprouting broccoli in the shops – and we love sweet and juicy vichy carrots with our roasts).